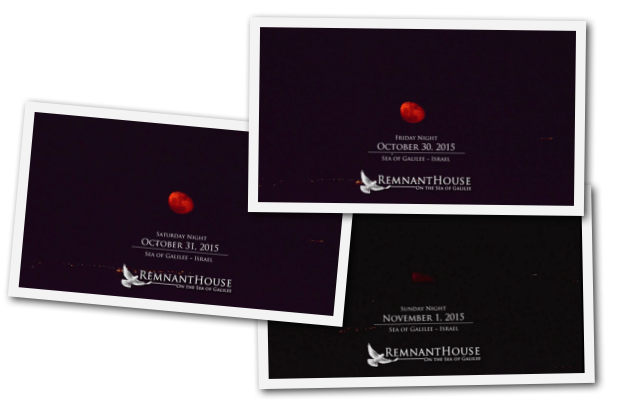 There was 3 blood moons which was observed in the sea of Galilee in November 2015 by United For Awakening Videos. When Patricia Green (from True Sprit Worship) saw this video, she heard from The Holy Spirit several words that are pretty amazing. When she heard this word, Patricia asked for a scripture to confirm the word, and then she was given Joel chapter 3. See below. Then the Lord said to her that if she did not speak the words that were given to her, that He would give them to another prophet that would. And then Patricia asked the Holy Spirit how we were going to accomplish this task. The next day Ruach HaKodesh gave her the revelation to that dream and regarding Israel. This message that the Ruach HaKodesh gave to Patricia we can claim for ourselves. Many of us would like to go to Israel after the upcoming war. Could this be one of the ways that Judah sees their Messiah, by provoking them to jealousy? 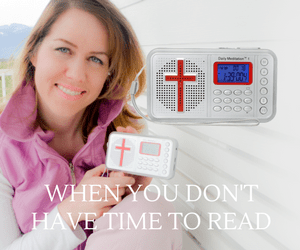 Romans 11:11? Could it be when many of us return, that we can break through the strong hold in the land by prayer and praise? At 9:27 in the video the message goes on to reveal information about the elections 2 weeks before they happened. 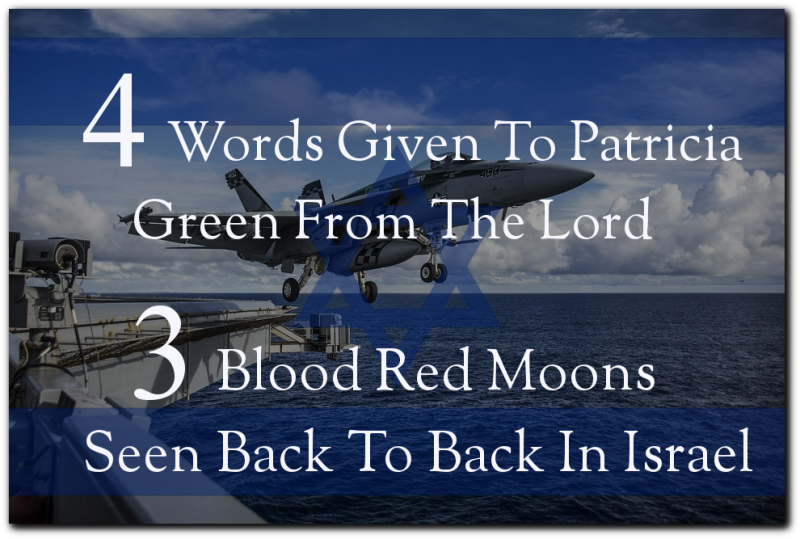 He revealed further in this message that the current administration (Netanyahu ) will not back down to Islamic aggression. Furthermore, He said that war will take place while Netanyahu is in office. Ruach HaKodesh then gave her this message. 4. Patricia Asked Where We Are In Scripture. The Lord Revealed To Her That We Are In Matthew 24:7 “The Beginning Of Sorrows”. The Lord Reveals To Her The Coming Killing Of Many Believers, In Addition To Those Believers Who Were Afraid Of Death, Fell Away From The Truth, And Lost Their Salvation. You can see Elohim is giving us a marker of when the great persecution will begin against the Christians and the Jewish people. You can see above that Elohim will NEVER leave us or forsake us. 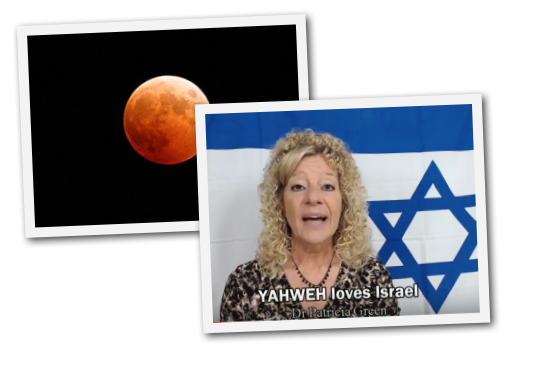 Patricia closes out her video in a word of encouragement that we are to reach people for Yeshua while we have the vast freedoms to do so. Now is the time to be bold, and win people for Christ. Stand strong, because you serve an Awesome God who is with you the entire journey and will give you what to say and where to go. 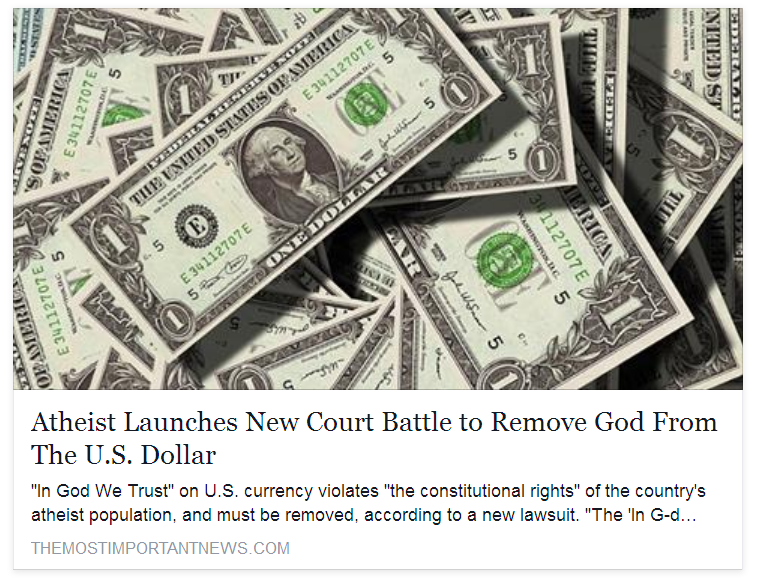 “In God We Trust” on U.S. currency violates “the constitutional rights” of the country’s atheist population, and must be removed, according to a new lawsuit. Attorney and outspoken atheist Michael Newdow filed the suit this week in Ohio. However, he already lost a suit in California in 2010 over the same currency issue. 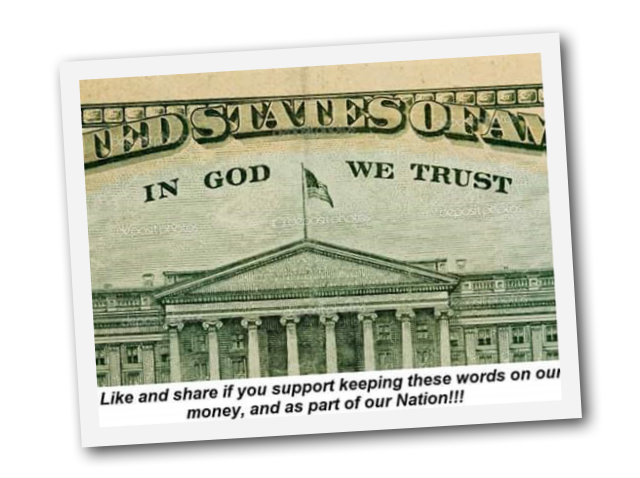 Newdow’s also lobbied to remove “under God” from the Pledge of Allegiance.